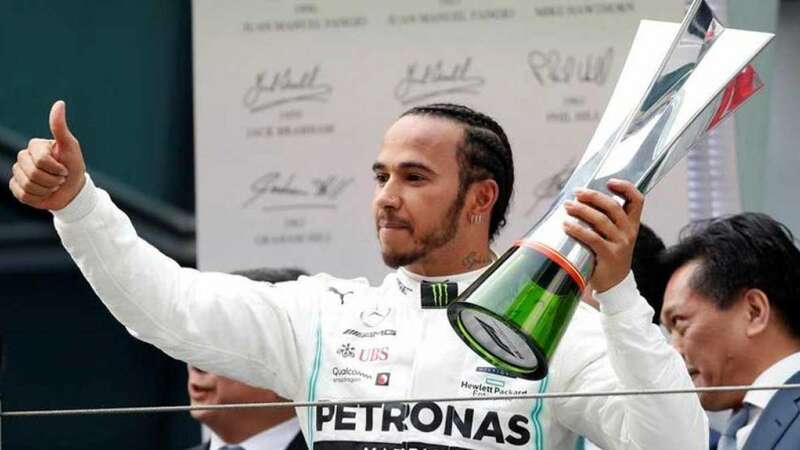 Beijing : Lewis Hamilton on Sunday won the Chinese Grand Prix to seize the overall lead from his Mercedes teammate Valtteri Bottas in Formula One’s 1,000th world championship race. Bottas claimed the second spot, Ferrari’s Sebastian Vettel took third place, his first podium appearance of the campaign, with Red Bull’s Pierre Gasly denying the German an extra point with the fastest lap right at the end. It was Hamilton's 75th career win, second in a row after he won in Bahrain two weeks ago, and sixth in China. He now needs 17 more wins to beat Michael Schumacher, who tops the list with 91 victories. “I think I lost it in the start. The car was feeling OK and otherwise the pace was similar,” said the Finn.